Maxi-scooter brake pads with organic lining composition. 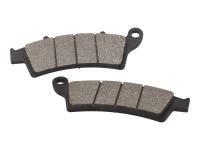 This brake pad compound is also used by the original manufacturers as OEM equipment for scooters. Solid braking performance and good durability characteristics of this scooter brake lining. 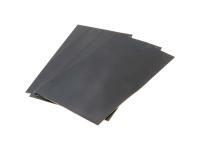 Brake pads with very good price-performance ratio.